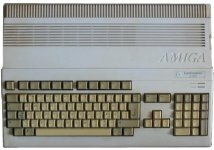 Grandpa John buys an Amiga 500 that comes with a mysterious program called Crystal Ball. 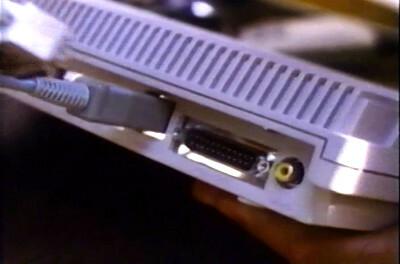 Mysteriously this A500 is connected to an Apple floppy drive, just like in The Rachel Papers (1989). 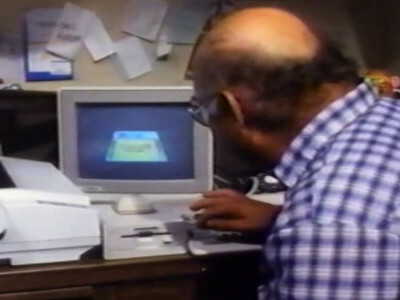 The same props? 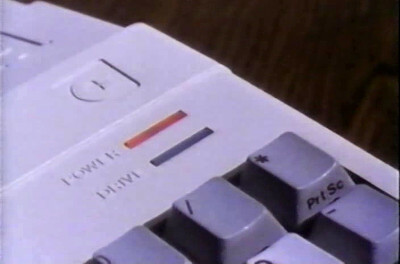 "Mysteriously this A500 is connected to an Apple floppy drive, just like in The Rachel Papers (1989). The same props?" I'm not sure what you mean. 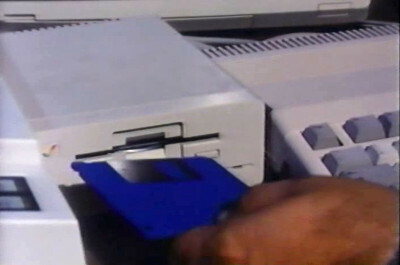 The drive shown in the third and fourth screenshots down, as well as the second one for The Rachel Papers, show what appears to be a standard Amiga 1010 external disk drive. Note the rainbow-colored checkmark in the upper left corner.